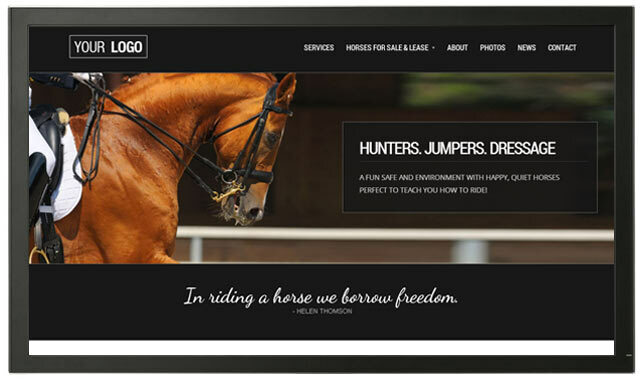 The Ideal Competition Stable Website Design Package! 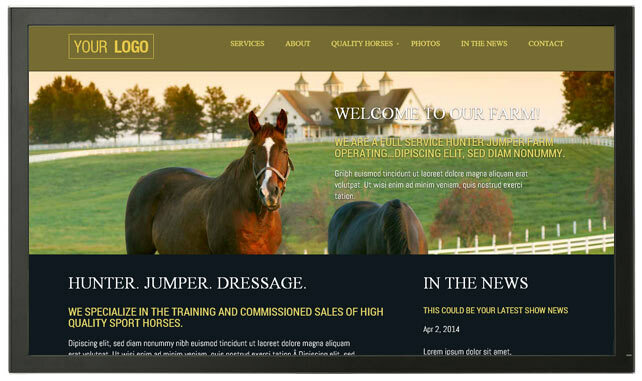 Our “in between” competition stable website design package gives you a little bit more flexibility with opportunity to have more pages and news items, more sales listings and a slightly more customized design. 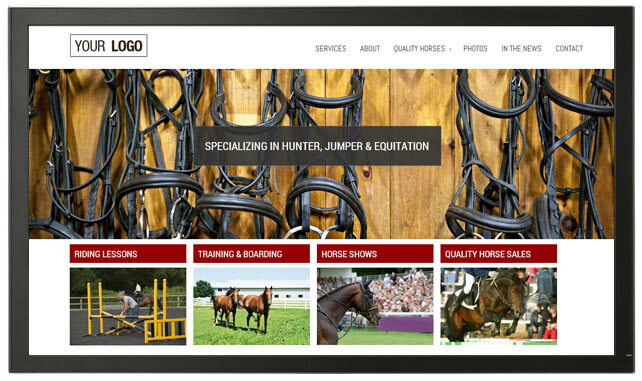 EQBusiness includes logo placement, application of business colours, choice of several layouts and 6 hours of design and development customization to tailor the website to your needs. 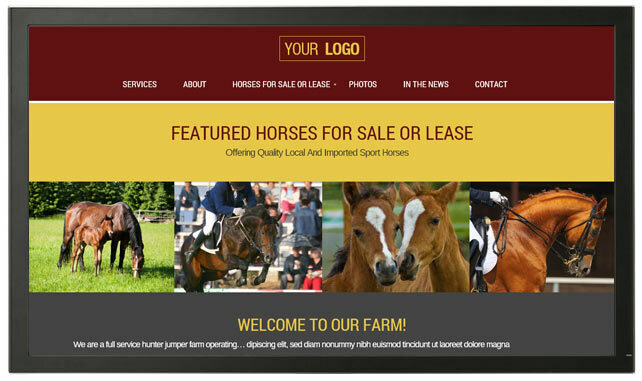 We will populate your website with up to 15 pages of content, 10 listings of horses for sale and/or lease and a photo gallery with up to 15 photos. Your website will also feature an impressive animated slider (with up to 3 slides) on the homepage.